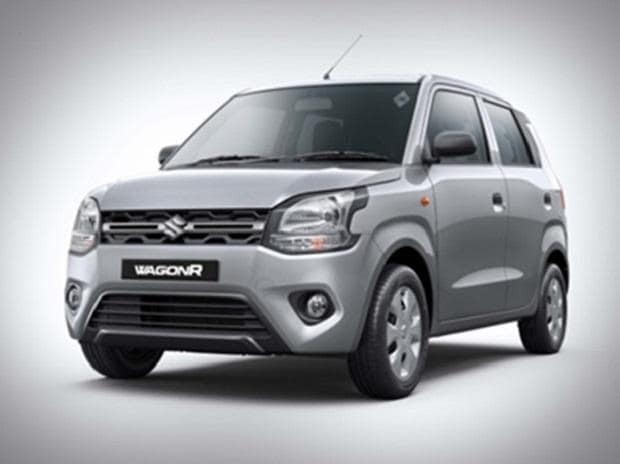 Maruti Suzuki India Wednesday launched two CNG variants of its newly launched hatchback WagonR priced at Rs 4.84 lakh and Rs 4.89 lakh (ex-showroom Delhi). MSI claimed the CNG version will "offer best-in-class mileage of 33.54km/kg". "With WagonR S-CNG, customers will be able to enjoy the benefit of 26 per cent better fuel economy than the outgoing WagonR CNG and superior technology which is safe, reliable and environment friendly," MSI Senior Executive Director, Marketing and Sales RS Kalsi said. The WagonR S-CNG will be available in states with CNG infrastructure including Delhi-NCR, Gujarat, Mumbai, Pune, parts of Andhra Pradesh, Uttar Pradesh and Madhya Pradesh, MSI said. The company further said the S-CNG technology ensures high performance with dual ECU (Electronic Control Unit) and intelligent-gas port injection technology, which delivers calibrated quantity of fuel to the engine, leading to more efficient fuel usage, active pickup and superior drivability. The company presently offers CNG option in seven of its models (Alto800, AltoK10, WagonR, Celerio, Eeco, Super Carry and Tour S). It has sold over 5 lakh factory-fitted CNG vehicles.